This isn't your typical Christmas Cookie but it's a favorite around our house and my father in laws favorite cookie. 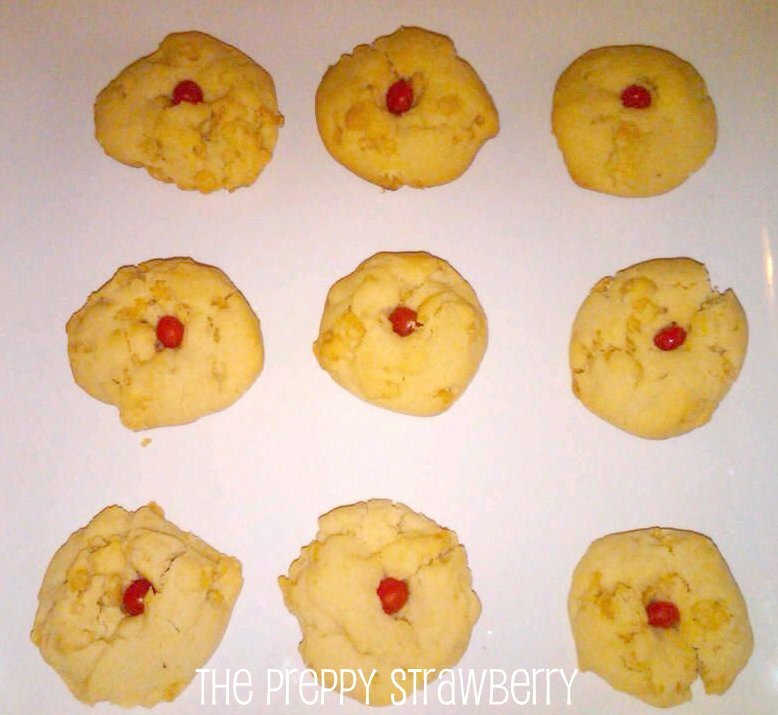 The only thing that you might not have in your cupboard to make this cookie would be the cinnamon red hots other than that this cookie uses the basic ingredients. Blend together sugars, butter, oil, egg, and vanilla. Add flour, salt, soda, and cream of tartar. Then add remaining ingredients and stir by hand. Drop by spoonful on cookie sheets. Bake at 350 degrees for 12-15 min. Put a cinnamon red heart in the middle while warm. 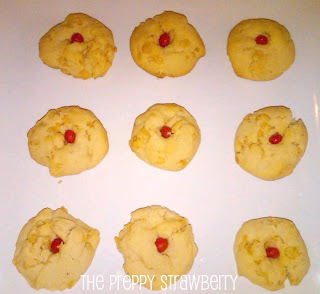 If you have a favorite cookie recipe to share link up with our Cookie Recipe Exchange! P.S. - Sorry for the bad picture! I have misplaced my camera battery charger so I'm SOL right now until I can find it! I hosted Thanksgiving and I moved it so it wouldn't get lost and well I hide it so well from myself that now I can't even remember where I put it! Arrghh- 10 days to find it!